Effective from 1st August 2018, I am no longer accepting review requests other than from authors I’ve worked with previously, i.e. I’ve accepted one of your books for review, I’ve reviewed one of your books, I’ve participated in a blog tour for your book or I’ve featured your book on my blog by way of a Q&A, guest post or extract. If you fall into this category, please read the following list before submitting review requests. You can view my current review pile here. I pride myself on writing detailed reviews that are thoughtful, honest and constructive as I respect the effort that goes into writing a book. I don’t include ratings in my reviews but on my What Cathy Read pages you can find the ratings I gave each book on Goodreads and Amazon (see rating guide below). I share my reviews on Facebook and Twitter. I am a NetGalley reviewer with an 80%+ feedback ratio. I have a low tolerance for books that have poor punctuation and grammar or have not been properly edited or proofread. It will result in a low rating and it’s unlikely I will publish a review or even finish your book. I do not charge for reviews. 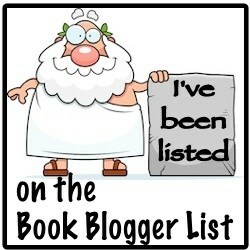 Where I have received a free copy of a book from an author or publisher, this will be stated in my review. Regardless of whether I have purchased a book myself or received a free copy, my review will be my honest and unbiased opinion. I include links where books can be purchased for convenience, not as part of any affiliate programme. To connect with me, visit my Contact page. All materials on this blog were produced and/or compiled by What Cathy Read Next. No images, text and/or designs from this site may be copied or reproduced without written permission. Authors and publishers only may use brief quotations from my reviews for promotional purposes.